Since first closing above 10,000 (March 29, 1999), how many times, on a closing basis, has the Dow Jones Industrial Average traversed that level? Since Bonddad didn't put up his regular weekend doggie post, here's a shot of our new addition, small enough to fit in one of my baseball caps. And no, my allegiance to the Vikings is not Favre related -- it dates back to the Purple People Eaters. We'll see you all on Monday. It was a light week for data, but what data there was continued to show economic expansion. The BLS reported initial jobless claims of 502,000, and the 4 week moving average declined to 519,750, the lowest in a year. The ICSC reported that same store retail sales declined -0.1% WoW, the first decline in 7 weeks, but YoY sales improved to +2.9%. They also said that "same-store sales for November could be as strong as +5.0- +8.0 percent [YoY] for the month." Shoppertrak finally also joined in reporting positive numbers. For the week ending 11/7/09, they reported a Year Over Year % Change of 0.1%, and a Week Over Week % Change of 4.8%. Oil declined slightly under $80 to about $78, so there is still a little rationality in that market. The Daily Treasury Statement through November 10, showed payment of $47.4 million in withheld state and local taxes for the month so far, compared with last year's $51.6 million on the same date, indicating state and local government's in severe distress even compared with last year (this is a lagging indicator which tends to bottom about one quarter after the end of a recession on an absolute basis). This is a very bullish sign for the economy. The Reuters/University of Michigan Surveys of Consumers said its preliminary index of sentiment for November fell to 66.0, the lowest level since August, from 70.6 in October. This was well below economists' median expectation of a reading of 71.0, according to a Reuters poll. "Importantly, the decline in confidence was already in place before the announced increase in the unemployment rate to 10.2 percent on November 6," the Reuters/University of Michigan Surveys of Consumers said in a statement, adding "the likelihood that the sentiment index would drift even lower in the months ahead cannot be easily dismissed." Within the survey, the 12-month economic outlook fell to its lowest since April. We have two months of declines and a third is probably on the way. These are not good developments especially with the holiday shopping season already underway. In other words, it's an index of companies that need a growing economy to increase profits. Unfortunately, the index is not sending us good signals. A.) The IWMs (Russell 2000 ETF) printed a double top with the first top occurring in lagte Setember and the second top occurring in late October. B.) Unlike the other markets, prices have not rallied to new highs, but instead have run into resistance at the 50% Fibonacci retracement level. C.) Momentum is decreasing and has been for a few months. In addition, the MACD is now negative. D.) The accumulation/distribution line is decreasing, indicating money is flowing out of the index. You could argue the Russell 2000 is forming a complex head and shoulders formation right now. That does not bode well for the future. Are prices printing a double bottom? Notice that the last two bottoms have been near the same level price wise. Also note the MACD printed a rising bottom (A) and the the RSI printed a higher number (B) on the second bottom. Fundamentally it is difficult to see the dollar making big rise. 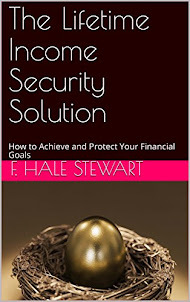 US interest rates are very low and will be there for some time. Other countries (like Australia) are already raising their rates. While the US economy is growing, so are other regions. And there is little need for a safe haven play right now. B.) Prices move through all the EMAs printing strong bars and higher volume. D.) Prices again make a move lower as trading nears the end of the day. A.) Notice how momentum has been decreasing for the last four months yet prices have been moving higher. Remember -- the MACD measures the difference between two EMAs. So long as that number is positive we're at worst moving sideways. 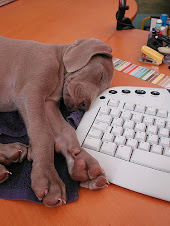 I'll post this in the AM -- I'm swamped right now. I commented on the volume ">situation yesterday. Cory over at Afraid to Trade takes the analysis a bit farther. Notice consumer credit loans typically flatline during a recession and a little bit after. The one exception was the 2001 recession. While we haven't had a contraction like the current contraction in consumer credit, the decline is consistent with recession experience. 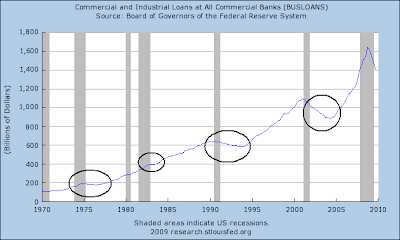 C and I loans either flatline or decrease after a recession. Recent experience is 100% in line with historical patterns. The point of these charts is simple: during and after a recession credit demand drops. The reason is really simple. People borrow less money when the future is uncertain. As demonstrated in the latest senior loan survey lending terms are getting easier; banks are trying to make loans. My guess is the terms are still harder than they were at the height of the "if you have a pulse you can get a loan" phase of the last expansion. But the point is business and consumer borrowers are decreasing their loan appetite at the macro-level. In the week ending Nov. 7, the advance figure for seasonally adjusted initial claims was 502,000, a decrease of 12,000 from the previous week's revised figure of 514,000. The 4-week moving average was 519,750, a decrease of 4,500 from the previous week's revised average of 524,250. This was the first piece of data that clued me into the fact that the recession was ending. The first time I noticed the continued decline in the 4-week moving average was maybe June(?) (there was a Barron's article that highlighted the trend). Since then the 4-week moving average has continued to move lower. 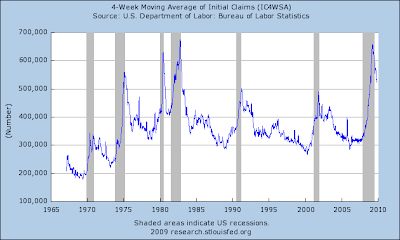 Notice that the 4-week moving average is a good indicator for the end of a recession as evidenced from the previous recessions. The 4 week moving average, at 519,750, is the lowest reading in a year, since the equal number on November 19, 2008. It appears the weekly jobless claims data are getting reading to test my hypothesis that net new jobs will be added if the jobless claims simply stay at this level for a few more weeks. In that regard, at the time of the 501,250 new jobless claims reading in 1990, payrolls lost 160,000 that month and 211,000 the next. In 2001, the new jobless claims high of 489,250 coincided with payroll losses of 325,000 that month and 292,000 the next. This year, we have already seen in August new jobless claims in the 560,000-570,000 range coinciding with a payroll loss of 151,000. In other words, so far my hypothesis is largely correct. The oil market is forming a classic pennant formation. There may be some issue with which top line trend line to use. I have added A and B because both are technically correct. Trend lines connect important points on the chart. Trend line A connects the tops of the candle's shadows which are the highest points of the candles. Trend line B starts and ends at the top of a candles and moves through various shadows. Regardless of which trend line you like the point is the tops are pointing downward. C.) Prices bounced off of the 200 day EMA. This indicates we're still in a bull market. We're still in a bullish EMA situation -- shorter EMAs are above longer EMAs and all the EMAs are moving higher. But the fact that prices are in a consolidation pattern indicates oil is waiting for something. A.) Volume has been decidedly weak. B.) The market has printed two spinning tops the last two days. In addition, prices have yet to breach the technical level established a few weeks ago. In fact, prices ran into resistance just below that level, crossed it sometime today and couldn't keep the momentum going. A.) Volume on this rally in the transports has been better -- we have had some decent days. But overall it is still weak. B.) Prices however have printed some strong bars. A.) Volume has been weak. B.) Prices have printed one spinning top and one doji -- both weak patterns. And prices crossed technically important levels but couldn't keep going higher. That's weak. I had sorta promised an update to my "When will the Economy Add Jobs?" series this week, but since both industrial production and real retail sales will be updated next week, and I think both of them are going to be quite interesting from the jobs perspective, I've decided to defer my update until then. In the meantime, there are three items that shed some other perspectives on the subject. 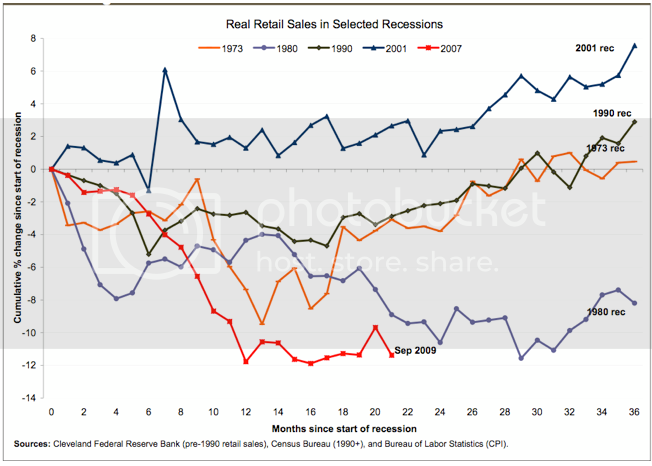 This graph shows nicely the slope of improvement in real retail sales for all of the recessions. Note also the flat sales for the entire 2001-02 period (ex- the post 9/11 arrhythmia), and flat sales after a false start in 1991 -- presaging the "jobless recoveries" of 1992 and 2002-03. We've had flat sales since last December or this March, which may or may not have begun to trend upward with "cash for clunkers." More on this next week. You may recall that I have spent a lot of time researching leading indicators specifically for jobs. It turns out the Conference Board has also done that, and last year they premiered this Index as their leading indicator. Note that at previous troughs, it has turned 1-4 months before the BLS jobs number. 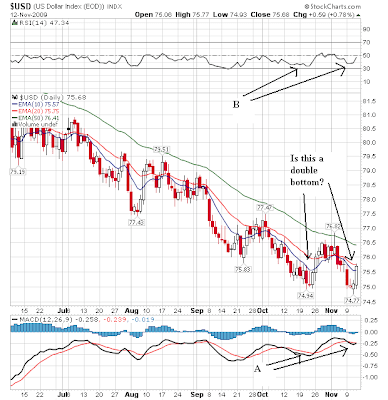 The ETI made a bottom in August, and has been up the last two months (from 88.3 to 89.3). 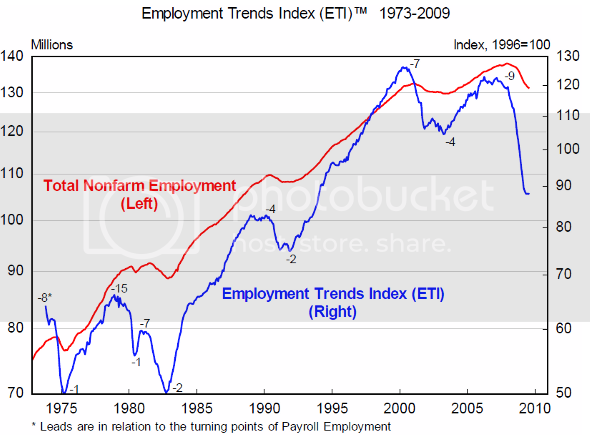 Interestingly, the Conference Board's Senior Economist, Gad Levanson said: “The Employment Trends Index has likely turned a corner in September, and the historical relationship between the index and employment suggests that job losses will end in early 2010,” i.e., 5 or more months later. I suspect this has something to do with the strength of the rebound or fear of a "false dawn," but they're not saying. When this share rises above 6%, it seems to become a more significant factor. The consumer energy expenditure share peaked [in 2008] at 6.8%, but collapsing energy prices subsequently brought it back down to 4.7%. The resurgence in oil prices this summer had pushed that share back up to 5.4% in September . I have included this graph because I believe (as do many others) the price of Oil is the most serious challenge to the sustainability of the economic expansion. The entire article is well worth reading, and I encourage you to click on the link and go over and do so. This past "Great Recession" was maybe half really an Oil Shock, and Hamilton's research backs that up (as he explains in the post I link to). It appears that his research calls for more positive GDP this quarter. It is also worth recalling that Hamilton's research suggested that there might abruptly be a positive jobs number in October 2009. Silver Oz has indicated that, except for the BLS applying an outsized seasonal adjustment last month, the jobs number would in fact have been +51,000. I've been meaning to get to this but finally have the time. The Federal Reserve released its senior loan officer survey at the end of last week. This is a great report because it gives up a large amount of detail regarding the inner-workings of the lending business. It also comes with a chart book that compiles the information. Let's take a look at those graphs to see what they say. As always, click on all images to get a larger image. On the commercial and industrial loan front we see that the number of institutions tightening their lending standards is still increasing, but at a far lower rate. At the end of last year/beginning of this year 80% of respondents were tightening their lending standards; currently that number is around 20%. In addition, the percentage of banks increasing their spreads is still increasing but at a lower rate. At the end of last year/beginning of this year that percentage was near 100%; now it's around 40%. However, loan demand is still negative. In other words, institutions are becoming more accommodating. The main issue with C and I loans is demand. 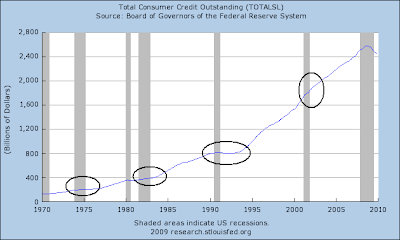 In general we see the same pattern with consumer loans. While the percentage of institutions tightening their lending standards is still increasing, the percentage is decreasing. At the end of last year/beginning of this year about 60% of banks were tightening their standards; now that total is near 20%. At the end of last year there was a noted lack of interest in making consumer loans; now that total is near 0%. However, note that since the beginning of 2006 we've been seeing a weaker consumer loan demand. On the residential mortgage front notice the large drop in the number of institutions tightening their lending standards; we've seen a drop from right around 100% of institutions to about 20% now. Also note the increase in mortgage loan demand. While the loan demand was negative for the first part of this year it has picked up. Although still negative for sub-prime mortgages we are seeing a positive performance from the prime market. Where this report tells us is the following: lenders are loosening standards to attract loans. The main issue is loan demand. Long term copper is still in an uptrend -- but notice that prices are approaching the long-term trend line. The EMA picture is still bullish -- the shorter are above the longer and all of them are moving higher. But notice that the angle of the uptrend of all the EMAs is slowly decreasing. Also note that the 10 day EMA is really losing it's angle indicating the upward momentum is taking a hit right now. Today is a great lesson in why it's important to watch a variety of macro-level markets rather than just one. The SPYs look pretty good. Prices are approaching a important technical level, the MACD is rising and so is the A/D line. The 10 day EMA has crossed over the 20 day EMA finalizing the bullish EMA picture. About the only problem with this chart is prices have moved higher at a quick pace and may need to pullback a bit. Everything said about SPYs applies here. And the riskiest side of the market -- the Russell 2000 -- just isn't confirming, is it? Prices today had an inside day -- meaning the body of today's candle is entirely within yesterday's candle. That can be bearish. But most importantly, notice that the riskiest part of the equity markets did not rise today as other parts of the market rose to just shy of important technical levels. That is warning. Twenty two months from the December 2007 start of this downturn, the National Federation of Independent Business (NFIB) – “The Voice of Small Business” – reports that “Poor Sales” remain the single biggest problem facing small business owners. And it has now reached a new record, hitting 33 in this most recent report. Statistically, we are in a huge “V” recovery, with Gross Domestic Product rebounding from a 6.4 percent decline in the first quarter to 3.5 percent growth in the third. 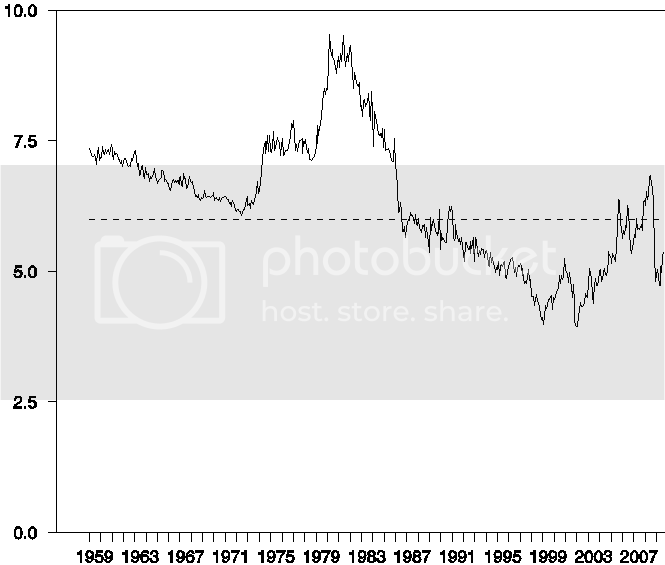 That is quite a “comeback,” a very steep “V.” But unless the consumer comes back, the recovery is likely to turn into the “square root recovery,” slower, flatter growth on the recovery leg of the V.
Overall, the Optimism Index rose by 0.3, from 88.8 to 89.1, essentially unchanged from where it was in May (88.9), and only slightly above where it was one year ago in October 2008 (87.5). There is no wage pressure reflected in the report, and it’s clear that deflation is a greater concern than inflation with regard to pricing. In short, the large company/small company decoupling seems to be continuing apace. You're going to be hearing a lot in the next 3 months about inflation. While at the moment we are still about 1% into deflation, year over year, that is going to end in the next week or two when the October CPI comes out. By the time the December CPI is reported in January, we'll be at about +3% YoY. You are going to be told that Inflation has made a Big Comeback, and that various Highly Respected Analyists think that it might get Out of Control. No doubt Larry Kudlow and his ilk will suddenly rediscover fiscal rectitude, and the econoblogosphere's Doom and Gloom contingent will be positively quivering in moist anticipation of the Final Vindication of their -flationary (hyperin, or de, they're not sure) prophecies, because government stimulus and deficits have finally crowded out private borrowing and interest rates are sure to hit 10% shortly. Ignore them. They're wrong. What you will in fact be seeing is simply and completely All about Oil. You may recall that near July 4 of last year, Oil was priced at $147 a barrel, and the average price for a gallon of gasoline was over $4. Then it crashed. Briefly at year's end, Oil was down to $35 a barrel, and you could get a gallon of gasoline for about $1.40. Now Oil is back to $80, and a gallon of gas costs over $2.50. The roller coaster ride of the price of Oil is reflected in the surging inflation figures of early 2008, the crash in inflation in later 2008, and the renewed inflation of earlier this year. What has yet to be wiped out in the YoY statistics are the very large drops of October-December 2008. If consumer prices simply remain stable (NSA), then we will hit 0% or so this month, 2% in November, and 3% in December. All because some very large deflationary readings from a year ago will have disappeared from the calculations. Unless the economy is surging next spring, and speculators are seriously stupid about bidding up the price of Oil, we are simply not going to see a repeat of the big positive numbers from the first half of either 2008 or 2009. More likely, inflation will settle in to something like the 2% to 2.5% range in the first half of next year, as smaller seasonal positive readings enter the annual calculations. By next June the fiscal rectalists and hyperventilating Doomers will have moved on to their next wrong predictions. In the meantime, I've saved you a lot of trouble. The long end of the Treasury market has been characterized by a trading range bounded by the lines labeled "A". However, prices are now below that line as (B) and momentum is clearly decreasing (C). 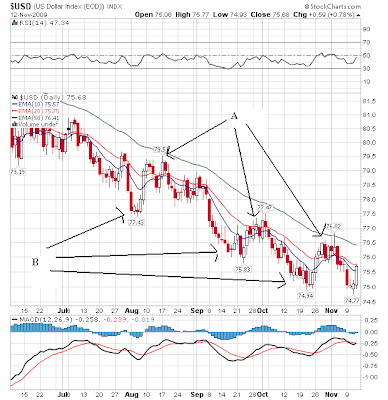 The bottom line is momentum is leaving the long-end of the Treasury market. Finally, note the current EMA/price relationship -- all EMAs are moving lower, the shorter EMAs are below the longer EMAs and prices are below all the EMAs. The shorter part of the curve is also in a downtrend (A). The EMA picture is very bearish: all EMAs are moving lower, the shorter EMAs are below the longer EMAs and prices are below all the EMAs. Finally, momentum is dropping (C). Fundamentally this also makes sense. First, overall risk appetite has returned; stocks are rising and riskier parts of the credit market are doing well. As a result there is little demand for Treasuries. Then there is the continued increasing of supply which will eventually lower prices. Finally, the Federal Reserve is nearing the end of its credit market operations. Bottom line: rates are probably moving higher. While banks aren't necessarily tightening credit standards as much as they had been, fewer people are showing up to borrow (as reflected in Friday's consumer credit numbers). You simply cannot force people to borrow money. A.) Prices opened higher on a gap up on strong volume. B.) Prices bounced along the EMAs for most of the day. C.) Prices moved higher at the end on strong volume. The blogsphere is all a twitter about an article in today's NY Times. People are saying the government's completely cooking the official data to such a degree that no data can be trusted. Except for the fact that that is a complete misreading of the article. American workers lose their jobs when carburetors they once made are imported instead. The federal data notices the decline in employment but fails to revalue the carburetors or even pinpoint that they are foreign-made. Because it seems as if $100 carburetors are being produced but fewer workers are needed to do so, productivity falsely rises — in the national statistics. At worst, the distortion would lower GDP from 3.5% to 3.3%. And that's the worst case scenario. Let's repeat a key piece of information contained in the article: the worst effect would be a .2% drop in GDP. And the reason for this problem is the way we count a single piece of data: imports. So, the story is "US needs to rethink the way it counts imports in GDP data." How this has been translated into "all government data is crap" is beyond me. Wait a minute -- no it's not. There are a lot of people who write about economics that don't know point one about economics. For example, they don't know there are actually two different employment surveys (just as an example). Or, they claim a 50% stock market rally is a bear market rally (ever read WD Gann or John Murphy?) So to hide this high level of stupidity they claim any data they don't understand is somehow flawed. Or, these people are still wedded to the belief that the sky is falling (despite a rising stock market, expansionary ISM numbers .. you get the idea). So they have to somehow save face from overlooking the obvious trends of improvement in the data. As a result, any piece of data which isn't bearish is cooked, while any piece of data the is bearish is lauded. Regardless in both cases you'll see these same people quote data from official government sources when it conforms to their opinions. 1.) The US is thinking about changing the way it counts imports in the GDP report. 2.) This does not mean there is a plot to fool the people of the United States. Unless of course you either don't know anything about government statistics or are so completely bearish that all of the positive data released in the last 6 months must be discredited. In which case, it's all a big lie from the man specifically targeted at you to make you look foolish. Bottom line: it looks like October Leading Economic Indicators (and revisions to September) will net about +0.3, the seventh positive reading in a row. This suggests that economic growth will continue through this quarter and the first quarter of 2010 as well. Typically, even in the last two "jobless recoveries", jobs began to be added to the economy when the YoY LEI was up +5% or better. This month will replace the awful -1% of October 2008, meaning that for the last 7 months, the LEI will probably be up 5.9%. YoY they will be up about 4.2%. If the LEI simply print flat for November and December, the YoY growth will be +5.0 %, consistent with jobs being added in December or January. That’s about all one can say about Friday’s report. On the downside was the 10.2% unemployment sound bite and the much broader U-6 print at 17.5%. Most other measures showed similar deterioration. One part of the release that usually goes virtually unnoticed is Table B-7, Diffusion indexes of employment change. BLS notes: Figures are the percent of industries with employment increasing plus one-half of the industries with unchanged employment, where 50 percent indicates an equal balance between industries with increasing and decreasing employment. While the -190,000 headline nonfarm payroll print was not that far off the consensus, and while there were upward revisions to the prior two months (of over 90,000), the major problem is that the Establishment Survey, at this time, is missing a very important part of the story, which is the strain that the small business sector continues to face. Small businesses have less cash on the balance sheet, less access to credit and less exposure to overseas growth dynamics compared to large companies. The Establishment Survey (nonfarm payrolls), has a "large company" bias that the companion Household Survey does not have. If you look at the historical record, you will find that at true turning points in the economic cycle, the Household Survey leads the Establishment Survey. This has always been the case heading into expansions and into recessions. We will get another peek into the health of small buiness tomorrow when the National Federation of Independent Business (NFIB) releases its Small Business Economic Trends (SBET) report. I believe the big business/small business decoupling is an incredibly important story that is being woefully overlooked by the media. Stay tuned. Lastly on this, I would also note that Average Weekly Hours, which had ticked up to 33.1 in both July and August, have now ticked back down to 33.0 in the last two reports. This is obviously a troubling sign that employers do not yet see the need to ramp up hours (which always lead bodies). This is the problem with trying to sugar-coat the state of the economy -- when the numbers prove you wrong, you wind up with egg on your face. And, finally, I would note that the Fed released its Consumer Credit numbers on Friday afternoon and, once again, it tanked -- down about $14 billion month/month and now roughly $122 billion over the past year. The YoY decline is now 4.8% -- the largest decline in consumer credit in over 65 years. Folks, this is not just about banks not lending (which they're arguably not); it's also about people no longer having an appetite for credit. On this file, I believe the Fed's Senior Loan Officer Opinion Survey is released today, so we'll get a fresh take on lending and credit standards. Notice that on the long-term chart price action is now occurring below the long-term trend line. That line could also become top-side resistance if this rally continues to progress. A.) Overall, prices moved from about the 110 level to 103.6 level -- a drop of about 6%. This is a bit low for a solid correction. Ideally we'd like to see at least 10%. But price fell to a bit below the 50 day EMA which is a standard technical sell-off level. Also note the increase in volume as the sell-off continued. B.) Prices retreated to just below the 50 day EMA. This is a standard technical level. C.) Prices have now moved through all the EMAs -- a bullish development. C.) Prices have since risen through all the EMAs. However they have done so on decreasing volume -- a bearish development. Overall, it looks as though the sell-off is over. However, there are two key technical points to remember. 1.) Prices are still below the long-term trend line. 2.) The latest move higher has been on decreasing volume.